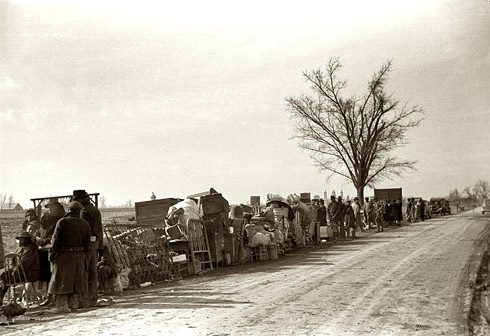 From the Black Collegian, "Black Driven And Cheated Out Of Their Land," by Linedda McIver -- The history of land loss in America spans hundreds of years dating back to broken treaties with the American Indians to the scheming maneuvers of powerful railroad companies and manufacturing giants who forced poor White landowners to sell. This history is well documented in books, movies, museums and archives. However, very little attention has been given to the plight of Black land families who've lost thousands of acres of land taken illegally through underhanded dealings. Very little has been done to return the land to Black owners … until now. In 2001, the Associated Press published the results of an 18-month investigation that revealed the extent that land has been historically taken from Black farmers, rural families and small business owners over the last 160 years. Their findings were published in a three-part web documentary titled "Torn From the Land." In the series of articles, AP discovered that many cases of land takings involved Whites murdering Blacks to take over their land. In other incidences, Whites intimidated Blacks by threatening family members with murder, burning their homes or arresting Blacks on trumped up charges to force families to sign over land deeds. In some cases government officials approved the land takings, in others they took part in them. Government involvement was the culprit in one of the cases highlighted in the AP series involving the Williams family of Sweet Water in Marengo County, AL, who fought a court battle in 1964 over a pair of 40-acre plots which state officials claim was not the Williams' property because of a 1906 federal designation as swampland. After the Williams family produced a deed and other documentation to prove ownership of the land, the judge urged the state to drop the lawsuit a calling the case a "severe injustice." The state won and the Williams's were ordered to leave their land. In January 2002, after reading the AP story about the Williams' case, Alabama State Representative Thomas Jackson, D - Thomasville, introduced a resolution in the legislature calling for a 10-member panel to study whether the state has illegally taken land from Black residents. 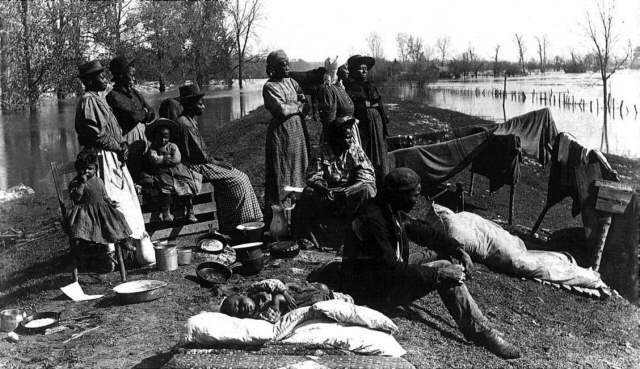 The house and senate passed the resolution to establish the African-American Land Loss Task Force. The AP's public exposure of the Williams case also prompted former Governor Don Siegelman to authorize the State Attorney General to investigate whether the land should be returned to the family. According to Jackson, the investigation proved fruitful. Last November, Siegelman authorized the land to be returned to the Williams family. "We were ecstatic to hear the governor's decision," Jackson said. "We plan to appoint the remaining members of the African-American Land Loss Panel in the near future. Hopefully, they will bring forth additional findings that will allow legislators to draft legislation that will properly restore land to their rightful owners." The AP investigation of Black land loss included interviews with more than 1,000 people and examination of tens of thousands of public records. Their research uncovered 107 documented land takings in 13 Southern and border states resulting in 406 Black land owners losing more than 24,000 acres of farm and timberland, in addition to 85 smaller properties including stores and city lots. AP reporters obtained information about the land cases by reviewing deeds mortgages, tax records, estate papers, court proceeding oil leases, and Freedmans' Bureau archives. They also interviewed Black families that lost land, title searchers, historians, land activists and public officials. George Dinning and his family were in bed one night in January 1897 when about 25 White riders came to his farm with the intent of driving the family from their Franklin, KY home. The men accused Dinning of stealing turkeys and chickens and ordered him to leave his 142-acre farm within 10 days. After a brief altercation with the men, Dinning grabbed his shotgun and fired at the crowd killing one of the riders. The men retreated. Dinning turned himself in to the sheriff. The riders returned to the Dinning farm, threatened his wife and children with death and ordered them to leave. Mrs. Dinning immediately fled for her life with the children in tow. The next night their farm was burned to the ground. Dinning was convicted of manslaughter, but later granted a pardon after an outpouring of petitions from prominent Whites who felt Dinning was wrongly incarcerated. Dinning moved his family to Indiana and later sued his attackers. The U.S District Court awarded him $50,000, but he received only $1,750 after the defendants claimed poverty. The Dinning family never returned to their land, which was folded into the holdings of their White neighbors who paid only the taxes owed. In the 1850s, a Richmond, VA plantation owner Thomas Howlett directed in his will that his 264-acre plantation be sold and the proceeds be given to his slaves. Instead, the executor of Howlett's estate, Benjamin Hatcher, ran the plantation on his own. After the Civil War, the former slaves complained to the Union Army, which ordered Virginia courts to investigate. Hatcher testified that he sold the plantation in 1862 and invested the proceeds on the slaves' behalf in Confederate War Bonds. The bonds became worthless. 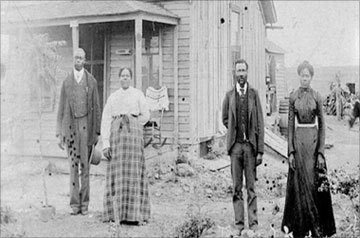 Virginia courts ruled that the Blacks were owed nothing. Willow Oaks Corp acquired the property in 1955. Today the land is a country club with as assessed value of $2.94 million. In 1908, 50 hooded White men circled the home of David Walker, a Black farmer in Hickman, KY, in an attempt to force him outside for a whipping. Walker refused and the men set fire to the house forcing Walker, his wife and five children to run outside. The riders shot them all, leaving three of the children wounded and all the others dead. No one was charged in the killings. The land was taken from the surviving children. Records show that Walker's 2 1ž2 -acre farm was folded into his White neighbor's property. The neighbor sold it to another man, whose daughter owns the land today. According to the AP, the U.S. 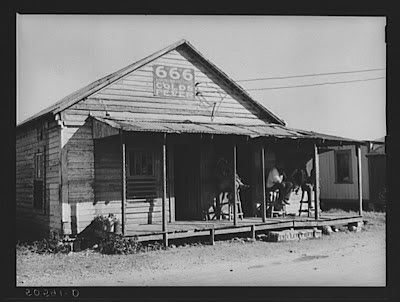 Agricultural Census showed that in 1910, Black Americans owned at least 15 million acres of farmland, nearly all of it in the South. Today, Blacks own only 1.1 million acres of farmland and are part owners of another 1.07 million acres. AP admits that the information contained in the "Torn From the Land" series is only a glimpse into the extent of land takings from Black families because of gaps in public records. The AP reporters were only able to find crumbling tax records, deed books with pages torn from them and crudely altered records. Dr. Marcus Tillery believes those records can be further researched by college students and young activists. "In recent years, Black land loss has tapered off since the USDA and others have been called on the carpet for illegal land takings, and organizations such as The Land Loss Fund (TLLF) has created more public awareness," said Tillery, one of the lead activists with TLLF, a grassroots, charitable organization seeking to improve the social, educational and economic welfare of those affected by the loss of family-owned land especially in rural African-American communities. Tillery is also a professor of technology and chair of the Department of Manufacturing Systems at North Carolina Agricultural and Technical State University. "African Americans should understand that land loss is not by accident. It is a conscious effort to rid Blacks of income-producing abilities. It is important that you find out and know about your family's land. If you find you have land, be sure to set up an heir property situation by putting the land in a trust or some other vehicle that protects the land."